1. Prior to straightening, make sure that the hair is completely dry. 2. Gently comb out the hair with a wide-toothed comb or soft paddle brush. 3. Use a flat iron to straighten the hair, a small section at a time (about 2 inch). * Safe to use 350F-400F, the use of a heat protecting product is highly recommended for higher temperatures. 4. 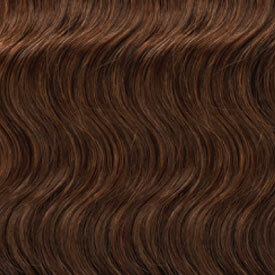 Apply a small amount of hair serum on the tips of the hair to prevent dryness. * Be sure to apply very lightly, and please note that too much oil will weigh your hair down. BLEACH & COLOR achieve vibrant tones and coloration. For best result, consult a colorist/professional at your local salon. Results may vary depending on the used product, time, and technique. When bleaching, peroxide levels that are 30v and higher can damage the hair. 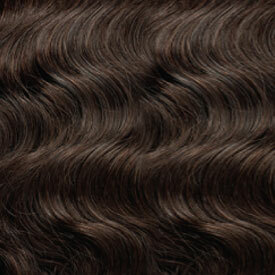 For optimal bleaching and coloring results, we suggest using the natural brown color. Always perform a stand test prior to bleaching or coloring for optimal timing and color results.